With Disney Hand Washes, there is a healthy and fun way to make sure your kids hands are clean and germ-free. Now you can bring a little magic to the sink with Disney's naturally derived, biodegradable foaming Mickey and Minnie hand washes that are gentle and mild. In bright, fresh fragrances like cyprus, the gentle formula leaves hands soft, clean and baby-safe. Disney hand washes are a great way to encourage kids healthy hygiene habits! Soft & Gentle on your hands. Explore the entire range of Handwash available on Nykaa. 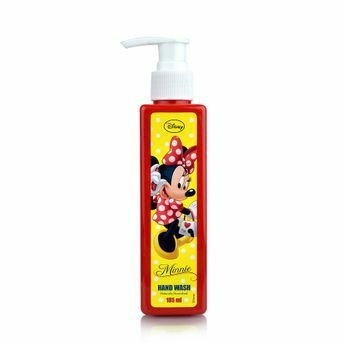 Shop more Disney products here.You can browse through the complete world of Disney Handwash .